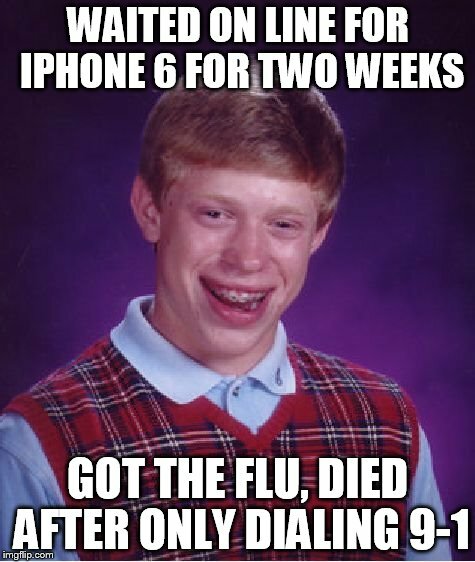 The new iPhone went on sale this week. What’s new about it? 1- It’s a little bigger. 2- It’s a little bigger. So for weeks, lots of geeks and/or nerds (iGeeks? iNerds?) waited and waited on the street because, let’s be honest, if you’re the kind of person who’ll sleep in a pup tent on 42nd street just to buy a phone, you probably had nothing better to do. ← This Was Your Life! Yes, and then they ran home, videoed themselves taking it out of the box and posting the video on YouTube. What’s with that?? Unboxing things on Youtube has become a fad. I say, who cares? I see a lot of things, from iPhones to lootcrate being unboxed, and very often the comment is “I don’t know what that is.” So what good is that video?